Whilst doing the Warwick card yesterday I stumbled across one I thought was very interesting, having his first run for a new yard. As it turned out, it was, but for all the wrong reasons! As I'll explain on the main piece today, along with a selection at a big price. 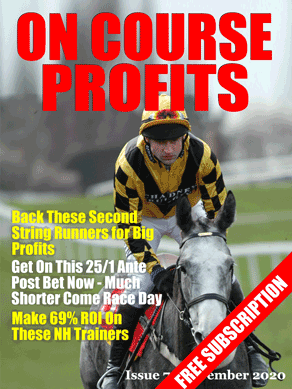 Plus a couple of selections I like today – loads of low-grade jump racing to get stuck into, my sort of day! It's been a busy old Bank Holiday weekend for me, with working visits to Nottingham, Southwell and Huntingdon yesterday. It's a two-part Tales Of The Ring then, with the first past on the main piece. I'm having an ante-post look at Sandown's card on Saturday too, as with rain on the way, there might be a bit of value to be had. If so, then I'll put my thoughts up tomorrow on that too. The Rajasthan Royals are a troubled side. They appointed Ajinkja Rahane as captain for the season but were forced to replace him with Steve Smith after a string of poor results. They splashed the cash on Ben Stokes only to watch him have an incredibly ordinary season so far, a 46 with the bat the best he has to show for his efforts among a series of single figure scores. He’s been a little better with the ball, but not much. The one man you can normally rely on – the freakishly talented Jos Buttler– has flown home for the birth of his baby, depriving the Royals of their best batsman for the remainder of the tournament. Although they did admittedly win their last game without him anyway. The much-talked about Jofra Archer has decent if not spectacular and of the Indian players only S Gopal has really stood out. It all helps to explain why they’re currently seventh out of eight. It’s been a very different story for the Delhi Capitals. Their Top 5 is loaded with T20 hard-hitting specialists and the good news is that four of them are Indian, meaning they have three overseas spots to sort out the all-rounder position and still field two overseas bowlers. The result is a good balance to their side and helps explain why they’re in third and looking very good for a play-off spot. The runs have been shared round accordingly which is always a good thing but there’s no doubt who the star with the ball has been. South African pacer Kasigo Rabada has 21 wickets, remarkably six more than anyone else in the IPL. 1.86 would have been a pretty good price about Delhi, even with Buttler playing. Given he’s not, it’s a very good price indeed. We mentioned that Delhi Top 5 already. Four of them have passed the 220 run barrier for the season and the one with the most runs of all in the side is Shikhar Dhawan, India’s opener in T20s and ODIs. He has 347 runs, 20 more than P Shaw and is the only Delhi player to score three fifties this season. Fresh from a fluent 56 last time out, you have to wonder why he’s third-favourite, rather than favourite, at 4.2 with Betfair Sportsbook. Shreyas Iyer is 3.5 despite having considerably less runs than him and batting at three while Rishabh Pant is 3.75 despite having 90 runs less than Dhawan and batting down at five. It makes no sense but all the better for us. Rabada is just 2.5 to be Delhi’s top bowler and despite being the outstanding bowler of the IPL so far, we can’t have him at that price. Not only is it too short in any circumstances in a one-off match but we might be getting to the stage where batsmen decide to play to not get out against him, rather than actually taking him on. We prefer Sandeep Lamichhane at 4.5 with Royal Panda. He sat out a few matches towards the start of the tournament but as the pitches start to wear, his mystery spin will be more and more dangerous and he’ll almost certainly play here. Last time out he took three wickets and with the pitch expected to turn, it could be him rather than Rabada having a wicket that assists him. At almost twice the price, the value certainly lies with the Nepalese spinner rather than the South African quick. You can read lots of cricket betting content ahead of the 2019 Cricket World Cup from Jamie Pacheco at https://www.bettingmaestro.com/.